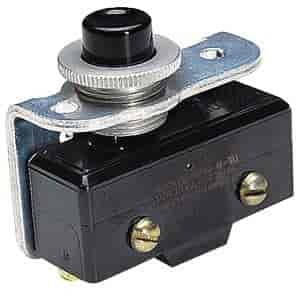 Dedenbear's Quick Release Transbrake Switch is one of the most popular in the racing world. The switch is adjustable to the drivers feel of comfort and allows full current to reach the transbrake solenoid. Dedenbear engineered the switch to have only 100th of an inch of release travel which is half of most buttons. With the help from Dedenbear and the Adjustable Quick Release Transbrake Switch you can expect for faster and more consistent reaction times! PBSRTD is rated 5.0 out of 5 by 1. Rated 5 out of 5 by Jake529 from Dedenbear Transbrake Switch is a real gem! I have been using this switch since the early 90's, and have won, literally, hundreds of races and thousands of rounds with this thing. It is consistent and durable! I only replaced mine after 20 years of racing and about a million hits on my practice tree!